Café Gratitude, the 100% organic and plant-based food chain headquartered in the Los Angeles area, will bring its consciously-sourced and thoughtfully-prepared cuisine south to San Diego with the opening of its new location in Broadstone Little Italy - the mixed-used development overlooking the bay. With its grand opening on Wednesday, July 29, the dining destination joins a new crop of retail spaces underneath the artfully-designed residences located at 1980 Kettner Boulevard. "We are so inspired by the incredible community and dining scene in San Diego. 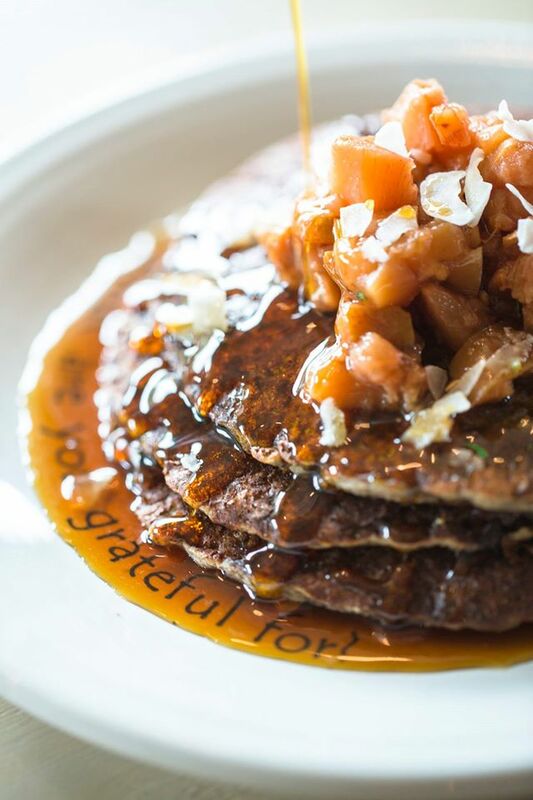 There is so much positive energy in the area with new restaurant openings, and we are thrilled to be part of the evolution," says Lisa Bonbright, CEO of Café Gratitude Southern California, whose expansion to the area is supported by singer-songwriter Jason Mraz, a major investor who resides in San Diego's North County. Like the Café Gratitude locations in Larchmont Village, Venice and in the Arts District in Downtown Los Angeles, the new San Diego digs will serve breakfast, lunch and dinner, daily, as well as fresh pressed organic juices that are also available as part of the restaurant's chef-curated cleanse program. 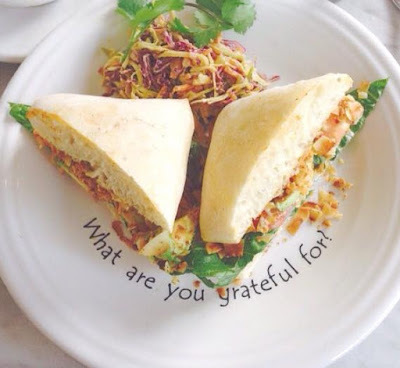 Menu items named after affirmations like "I Am Grateful" are demonstrative of the restaurant's philosophy to cultivate a supportive environment for guests, a core part of Café Gratitude's original founding in the Bay Area in 2004. Go-getters can start their morning with Gratitude favorites like the "Open-Hearted" buckwheat-flax pancakes, "Bonita" breakfast taco plate and the tongue-and-cheek "Crunchy" housemade raw granola, or grab freshly baked gluten-free pastries and doughnuts, Stumptown coffee, housemade almond milk tea lattes, smoothies, and nutrient-dense elixirs to-go. 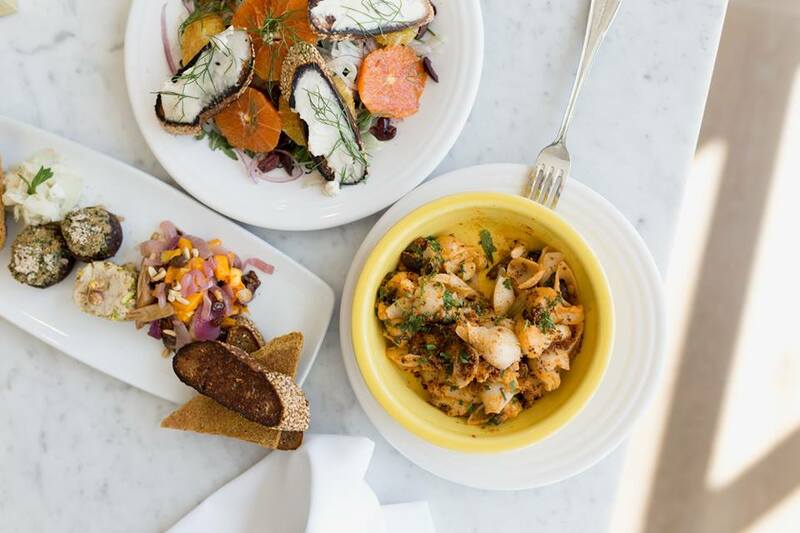 Come lunch, diners can savor seasonal specials and craveable classics on the All-Day menu that spotlights produce sourced from local farms, as well as Café Gratitude's Founders Terces & Matthew Engelhart's Be Love Farm in Vacaville. From the "Dynamic" yam cauliflower samosa chaat, to the "Celebrating" collard spring rolls, to the "Yo Soy Fuerte" Mexican torta, to the restaurant's signature "Whole" macrobiotic grain bowl, Chef Dreux Ellis' menu offers a compelling and elevated twist on traditional plant-based fare that also honors the integrity of the ingredients spotlighted. This conscientious approach is mirrored in the dinner-specific items that will be available in addition to the All-Day menu starting at 5pm, when the lights turn down and friends, couples and residents can stop in for a more leisurely dining experience. 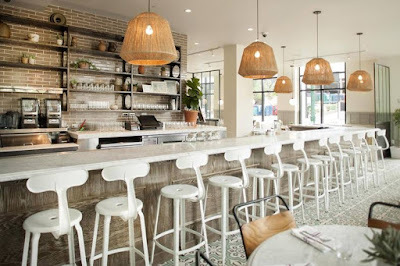 Offerings include the "Kansha" cold ramen noodle salad, "Inspired" asparagus risotto, and "Giving" ancient grain flatbread featuring einkorn and kamut grains, judiciously layered with seasonal toppings that will change nightly. Tempting desserts on the All-Day menu, like the "Awakening" key lime pie, "Rapture" strawberry shortcake and oft-touted "Kind" crispy chocolate bar, will offer the perfect finish for those angling to end their meal on a sweet note. Diners can also put their fate into Chef Ellis' capable hands for the evening, and opt for a three-course Prix Fixe Chef's Tasting Menu. To pair with these wares, diners can sip on suggested wine pairings, spritzers or housemade sodas from Jason Eisner, the Beverage Director at sister restaurant Gracias Madre in West Hollywood. Organic wine and beer will also be available. Like with all other Café Gratitude locations, designer Wendy Haworth and CEO Lisa Bonbright oversaw the design of the sleek 4,000 square-foot-space, creating an aesthetic that is both bright and welcoming, a reflection of the community-oriented ethos behind the restaurant. Muted tones and patterns are incorporated throughout to cultivate a calming, relaxing environment to gather for an inspiring meal. 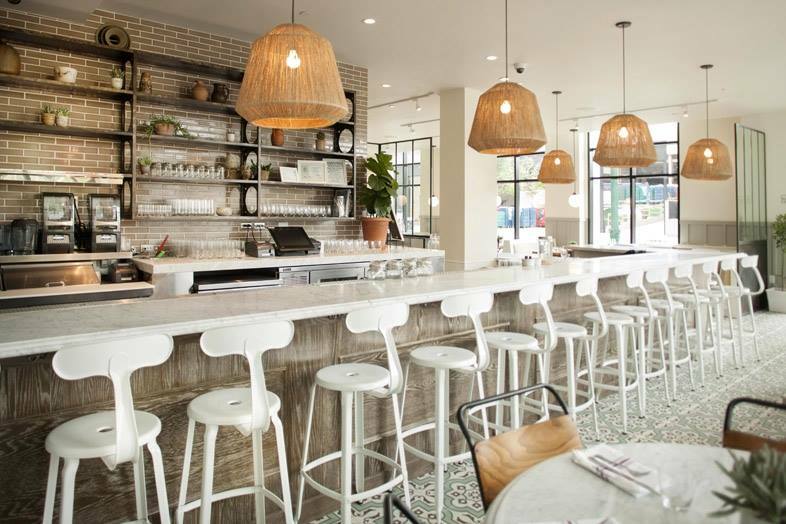 Handmade tiles made by Fireclay bring further nuance to the space with the work of local artisans similarly interwoven into the restaurant's dynamic design. Eclectic touches include custom-colored cement tile from Clé in Sausalito, antique pitchers from Architectural Salvage of San Diego, and large custom macramé by Free Creatures. Located on the Southeast corner of the development at 1980 Kettner Blvd., Suite 20, Café Gratitude will be joining an eclectic, curated mix of restaurants and shops that are also planned for Broadstone Little Italy. For more information on the development, visit broadstonelittleitaly.com. For more information on Café Gratitude, visit cafegratitude.com or call the restaurant at (619) 736-5077.